Campaigners battling to secure the future of a historic village pub near Horncastle as a ‘community asset’ have admitted defeat. The award-winning Sebastopol Inn is at the heart of Minting, opposite St Andrew’s Church and next to the village green. It has been an integral part of the community since 1836 but was put up for sale but its current owners last August. A Community Benefit Society - which included village residents - was set up with the intention of buying the pub. The society had launched a community share offer which provided an opportunity for local people and businesses to buy into the community bid. A Business Plan and Share Prospectus were published on the share launch day (February 22) and were revised at the end of April when the initial share offer was extended to June 22. 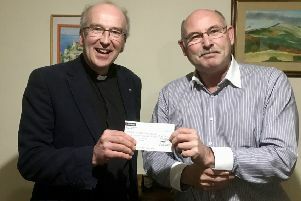 A spokesman for the Society said: “We attracted investment both from the local area and from across Lincolnshire and raised a total of £93,500 plus the short-term loan of £100,000 by the end of the extended share offer period. “This is a fantastic result from such a small community and we are proud of what we have achieved. “In line with our revised business plan, an initial offer was made in the middle of May. “The vendors were not willing to consider this offer until the end of the share offer period so we reaffirmed the offer on June 19 and it was declined. “We then made a final offer (increased by c10%) which was also declined. “Unfortunately we now have to declare that the share offer has failed and we have started the process of refunding all share capital to investors. “However, with over 80 individual investors, this will take a few days to complete. “On a positive note, we believe that the project has clearly demonstrated very strong community support to retain The Sebastopol Inn as a village pub. “This will help to attract potential new owners/landlords who can be confident of this when drawing up their business plans.